Venue: Bay Point Sports Club, Ramsgate Road, Sandwich, Kent CT13 9L. * The event celebrates the 60th Anniversary of SCALEXTRIC, is aimed at attracting local people as well as collectors and racers. 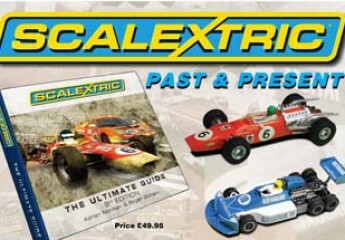 With a rich history of Scalextric in the area we hope that many ex-Scalextric employees will visit. * Ample parking, easy loading access and a large sports field with table/bench areas. Access for the disabled. * Full amenities with all-day breakfast, cooked lunch, coffee, tea, a bar, a restaurant, rest rooms and ‘break-out’ rest areas. * Film show of the history of Scalextric in cinema room. * The venue is 15 miles from Dover, 5 miles from the Hornby/Scalextric Visitor Centre and old factory. The International Federation of Slot Car Clubs (IFSCC) has been created by the NSCC (UK) and the SLN (Dutch) clubs out of a desire to bring together slot car clubs and enthusiasts from across the world. The International Federation of Slot Car Clubs is an international body that brings slot car clubs together in order to co operate and collectively represent the interests of the member clubs, be they clubs focused primarily on collecting slot cars or on racing slot cars. The International Federation of Slot Car Clubs exists as an independent organisation in order to represent the member clubs in the spirit of fraternity and as a conduit for information and influence. The Federation is a partnership that brings a collective voice to the manufacturers on behalf of member clubs. It will promote the hobby across the world acting as a conduit for information between member clubs, manufacturers, dealers and other stakeholders. What are the goals of the IFSCC? To create an international partnership of slot car clubs that represents the interests of the members clubs when dealing with other stakeholders in the slot car world. To provide a collect voice when dealing with manufacturers, retailers, traders and the local, national and international media on behalf of the member clubs. To work together in order to share information and knowledge on slot cars both amongst member clubs, manufacturers and other stake holders. To act as a conduit for information to member clubs and also as resource for related information both to and from other stake holders. To raise awareness amongst manufacturers and retailers of the needs of members clubs both individually and collectively. To provide a collective voice when advising manufactures on all their products. To provide a collective voice for requesting and negotiating the production of specific products and limited editions from the various slot car manufactures on behalf of member clubs. To promote the hobby as widely as possible particularly with a view to encouraging young people to become involved in slot cars either as collectors or racers. What will the IFSCC not do? It will not exist to provide rules or governance for slot car racing nor will it in any way effect the independence of member clubs. How can Clubs join the IFSCC? Established slot car clubs will be able to join for the sum of £15 UK pounds or the equivalent sum in euros or other international currency. This will cover administration, web site and other costs. Membership will be administered on behalf of the IFSCC by the NSCC and the SLN. Who has the federation been created for? Membership is available to properly constituted clubs. No individual membership is allowed. Any slot car club would be eligible for membership whether it is primarily focused on collecting slot cars or on racing slot cars. email: chairman@nscc.co.uk or Thera Brok (SLN) email: twbrok@kpnplanet.nl. Catalogue 25 showed C333 and C334 as new releases for 1984, but these two cars in blue and yellow liveries were never released. The 2-door Sierra had the early separating pillar on the rear side-windows of the full-size car but, in the real world, the all-conquering Ford XR4i used in Touring car races around the world had the later full length rear side wondow. Perhaps this is the reason Ford didn’t give permission for this model to be launched in favour of the alternative SCALEXTRIC Ford Sierra we are now familiar with. Below: A factory hand-made early Ford Sierra XR4i with the extra side-window pillar.